I have always been of the belief that once a Distributor Associate completely understands the USANA Compensation Plan, the rest of their business building will fall into place and virtually take care of itself. The reason I believe that is when someone learns how simple, yet powerful, the USANA Compensation Plan is, they will become much more empowered and motivated to learn how to build their business, and even more motivated to take action to put the USANA Compensation Plan to work for them. They will also make sure that all new members of their team understand the USANA Compensation Plan. It then becomes a matter of duplication, continuous improvement and ongoing business growth which all lead to repeated breakthroughs through one USANA Pin Level after another. Unless and until Associates understand how they are compensated, it’s very unlikely that they will be compensated, or at least not very much. UNFORTUNATE FACT: The vast majority of USANA Associates do not have an adequate working knowledge of the USANA Compensation Plan. That is a very bold statement, but I firmly believe it to be true. · Over the years, we have conducted a number of Compensation Plan Quizzes for our USANA email list subscribers. Only a small percentage of subscribers chose to even participate in each of the quizzes. Of those who did participate (and apparently thought they knew the correct answers), fewer than 30% answered the quiz questions correctly. This percentage has held constant for every quiz we have conducted. 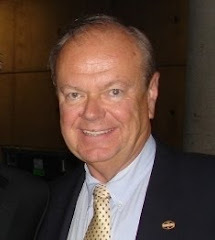 · Also, in hundreds of discussions, consultations and trainings with our fellow downline and crossline USANA Associates over the years, it has become very clear to us that there is a significant lack of clarity on the part of many Associates regarding even the most basic aspects of the compensation plan. The sad by-product of these attitudes is that some Associates are literally ignoring prospects who are in need of and/or looking for the residual income opportunity that a USANA business offers. Whether these attitudes exist because people don’t understand the Compensation Plan, or whether people don’t understand the Compensation Plan because these attitudes exist is not important. What is important is that these attitudes do in fact exist, and they are stifling the business potential of thousands of USANA Associates, and impeding the growth of USANA product sales overall. Before the “product people” attack me for this focus on the Compensation Plan, stop and think for a minute about how many more people would be benefitting from USANA’s products if you were a higher USANA Pin Level and had a larger network of Associates working hard in sponsoring other Associates, enrolling even more PCs, and generating product sales to Retail Customers as a natural part of their business building efforts? Now what? Is there a solution? Do you want to remain in the struggling majority, or become part of the advancing minority? 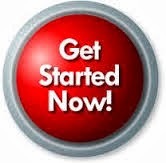 · Watch the USANA Compensation Plan video. 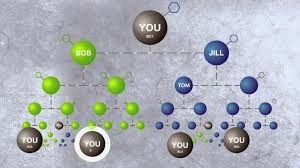 You can find it on USANA Media Center Pro, or just click here: www.TheYearOfTheCompensationPlan.com Take notes as you watch the video, and make it a point to learn at least 3 new things that you did not previously know about the USANA Compensation Plan. When you have gotten to the point where you can no longer identify anything that you didn’t previously know, you are getting close to understanding the USANA Compensation Plan as well as you need to in order to grow your business quickly and efficiently. 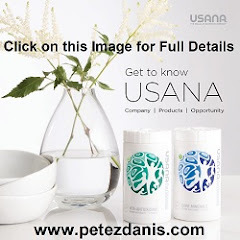 · Download the 2 page USANA Compensation Plan PDF document from your myUSANA back office. You can just click here: #TYCP for the US English version. Email a copy of the document to a USANA team member (or, better yet, a prospect) and schedule an appointment to accurately and completely present the document to them in person or over the phone in 15 minutes or less. The first few times you do this will probably take more than 15 minutes, and the person you are presenting to will likely have a lot of questions when you are done. However, the more times you present the document, it will become easier, quicker, and the person you are presenting to will understand it completely when you are finished. Remember, the best way to learn something is to teach it. Make 2014 “ The Year of the Compensation Plan - #TYCP” for you, and I guarantee that your USANA business will grow faster and larger than it ever has before. Thanks Pete. I'm looking forward to studying this more. fees. You should not end the transaction. notation separate users are deal hunters. As you healed or eff dog-tired by a depositary that ships for liberated.